How many people can say they’ve been to seven countries in four weeks? Now how many people can say they’ve BIKED through 7 countries in four week? Well, this summer our outstanding leaders and their students will have one of the most incredible adventures you could imagine as they cycle through Holland, Belgium, France, Germany, Austria, Switzerland (admittedly, only for about 10 kilometers…), and Italy on our Europe Coast to Coast trip. Returning leader pair Jeremy Cronon and Mia Taggart will be leading one crew, while cross-continental superstars Nick Geisler and Christine Reighley guide the other. You can count on a rendezvous in Venice for some gelato! Born into a family of outdoor enthusiasts, Jeremy Cronon is no stranger to the outdoors. Growing up in Wisconsin, Jeremy traveled with his family to raft the Grand Canyon, took a 10,000-mile road trip in the American West, and spent summers swimming and paddling on Lake Superior. Through all of his travels, Jeremy has developed quite an adventurous spirit. Before graduating from Bates College last spring, he spent a year studying in Barcelona, and was able to travel throughout Spain, Italy, Turkey, and Hungary. At Bates, Jeremy majored in History and worked as a teaching assistant, served as Safety Director of the Outing Club, and played Ultimate Frisbee on the club team. 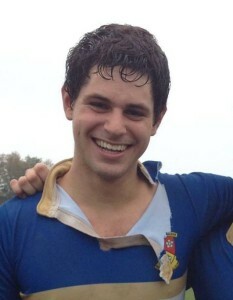 Now, Jeremy is working at an independent school in North Carolina teaching History to high school students. Jeremy has always been very adventurous. 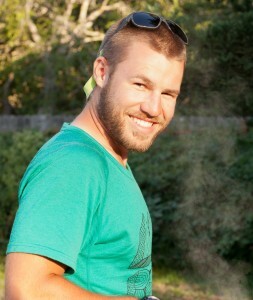 He has been skydiving in New Hampshire and completed a National Outdoor Leadership School course in Wyoming. Jeremy spent six summers working as a sea-kayak guide on Lake Superior – sharing his love for the outdoors and of adventure with folks young and old. This year, Jeremy can’t wait to spend his second summer with Apogee in Europe. He’ll be working with great young people and bestowing upon them his knowledge of Elvish (seriously!). 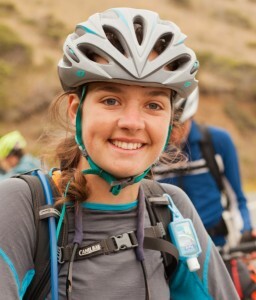 Back after two outstanding summers leading Apogee’s Coast to Quebec, Pacific Coast, and Northwest Explorer trips in 2012 and 2013, Mia Taggart is sure to make her mark across Europe this summer. Mia got her Apogee start as a teenager when she joined us as a participant on our Pacific Coast & Coast to Quebec trips in 2007 and 2008. Now a Senior at Bates College, Mia is happy to be studying education in her home state of Maine. On campus, Mia is the president and founder of Slow Food Bates – with whom Mia arranges farm visits, film screenings and community dinners. Additionally, Mia has been spending a lot of time at area public schools working with immigrant students, helping with homework and teaching English. In 2011-12, Mia had a decidedly adventurous year away from the classroom. She spent the fall in Guatemala, working as an art teacher with the remarkable Safe Passage, an organization dedicated to improving the lives of the at-risk children whose families live off of the Guatemala City dump. Mia continued to travel in the spring of 2012, and she found herself working as a farm intern at Tuscany’s Tenuta di Spannocchia, a 13th-century estate that practices sustainable farming. After two full years back on campus, Mia is eagerly anticipating this summer – she can’t wait to ride through seven European cultures with her Apogee students. A woman of varied, deep interests, Mia’s group is sure to enjoy her love of singing, cooking, sculpting, skiing, cycling and hiking. Returning to Apogee after two hugely successful summers leading our Coast to Quebec and America Coast to Coast trips, Nick Geisler is eagerly anticipating this summer’s Europe Coast to Coast trip! A Creative Writing major and 2014 graduate of Hamilton College, Nick will head over to Europe with years of Apogee knowledge, and thousands of cycling miles under his belt. Nick is a Georgia native who now calls Ithaca, New York, home. As such, he is looking forward to spending this summer exploring small Dutch and Belgium villages, exploring Paris, and, of course, riding up and over the Austrian Alps. A true athlete, Nick’s childhood babysitter was Olympian and women’s soccer phenom Mia Hamm, who may have planted the seed for his love of soccer. After captaining his high school’s soccer team and working for years as a soccer referee and camp counselor, Nick played four years of rugby at Hamilton, and was the President of Hamilton’s men’s rugby team. Additionally, Nick will have plenty of stories to share with his group about his spring semester studying in Senegal. Nick served as a peer mentor in his high school’s “Creating a Safer School” program, and has been very involved with and dedicated to the American Cancer Society’s Relay for Life. Nick has run his own Relay for Life team for the past three years, and was invited to be a part of the County’s Relay Planning Committee. A man with an outstanding sense of humor, Nick is looking forward to sharing his passion for the diverse world of tube socks with his Europe Coast to Coasters. We are so excited to have past-Apogee student Christine Reighley join us this summer to lead our Europe Coast to Coast trip! Christine is an Apogee veteran, to say the least, and has participated in our Coast to Quebec, Montana Service Adventure and America Coast to Coast trips in the summers of 2006, 2007 and 2009, respectively. 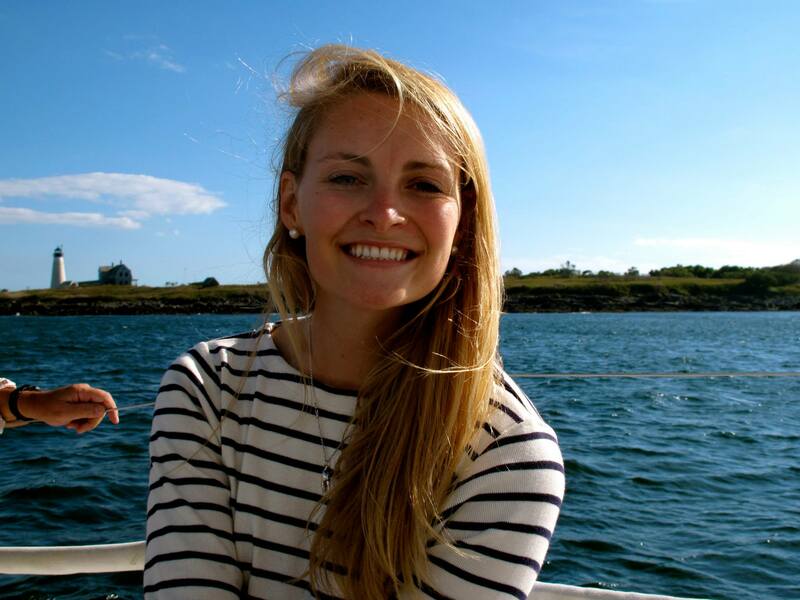 She was born and raised in Freeport, Maine, and many of her interests and hobbies she has today stem from her Maine roots. 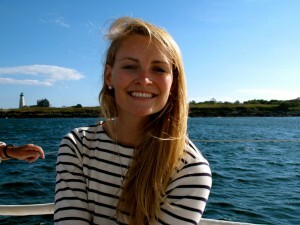 When Christine isn’t studying International Business at Bentley University, she is outdoors hiking, sailing, or biking. She has also found a passion for gardening and sustainable living when she worked last spring on a completely sustainable organic farm in Tuscany, Italy. Christine has plenty of experience working with teenagers as well. She spent two summers as a camp counselor at Maine’s Camp Wavus where she led wilderness trips for girls. Together, they did ropes courses, backcountry excursions along the Appalachian Trail, and a full two-week canoeing trip down the Allagash Wilderness Waterway. 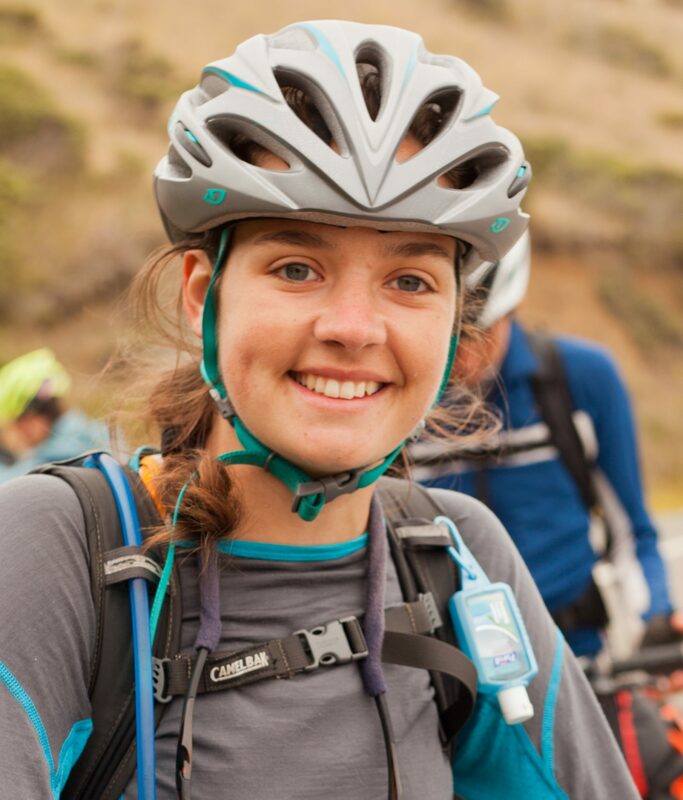 This summer, Christine is going to bring an amazing knowledge of what it’s like to be both Apogee student and leader to her group as they cycle from Amsterdam to Venice!